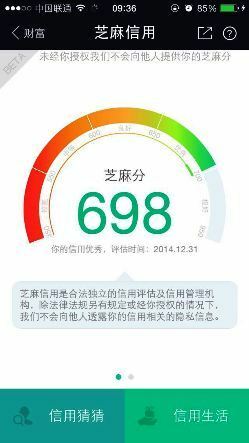 China has just launched a comprehensive new system for rating its citizens. It’s like a credit score, except it’s public and it is linked to your behavior as well as your financial performance. the system has incentives built in, where you get a guaranteed loan at a score of 600, at 650 you can rent a car without a deposit, at 700 you can travel to Singapore without hassle, and at 750 you can travel to Europe as well. They are encouraging the score to become a new digital reputation, and Twitter is already full of people posting and bragging about their numbers. They are using the combined desires to comply and to promote ones’ status to create the ultimate tool for self-restraint. And they can tweak the incentives at will based on topical situations. This is a perfect example of how any tool can be misused by the misguided. Scoring systems like this where users have far more control of what is displayed about them could ignite an entire world of social interaction, products, and services. Or it can be used by governments to incentivize the self-oppression of more than a billion people. there are multiple different rating systems, for different things, like humor, trustworthiness, attractiveness, etc. people decide which daemons to display for people, and they build their own composite score based on what matters to them, e.g. : humor, art, music, cuddliness, ability-to-keep-secret, or liked-by-dogs. The problem is when the government controls all elements that make up the score and then publish it as an opaque composite—basically removing peoples’ ability to interpret the world the way they want. And that’s precisely what the Chinese system does. It flattens all attributes into a single number that representing the goals of the Chinese government. This is something I’ll be watching closely. The Credit China site is located here. Added some content on what a positive implementation could look like. Here’s what the IoT version of this will look like.